The MOMO MOD. 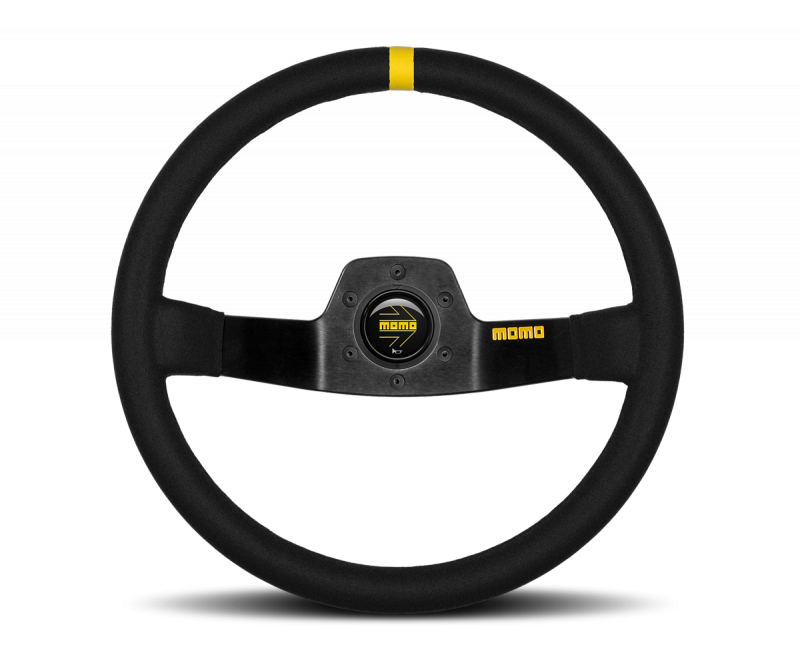 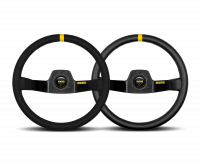 02 steering wheel is a traditional round design with a 350mm diameter and a unique 2-spoke design. 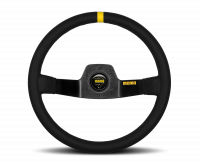 A deep 87mm dish brings the wheel closer to the driver for easier steering input. A yellow centering stripe is also integrated into the design. 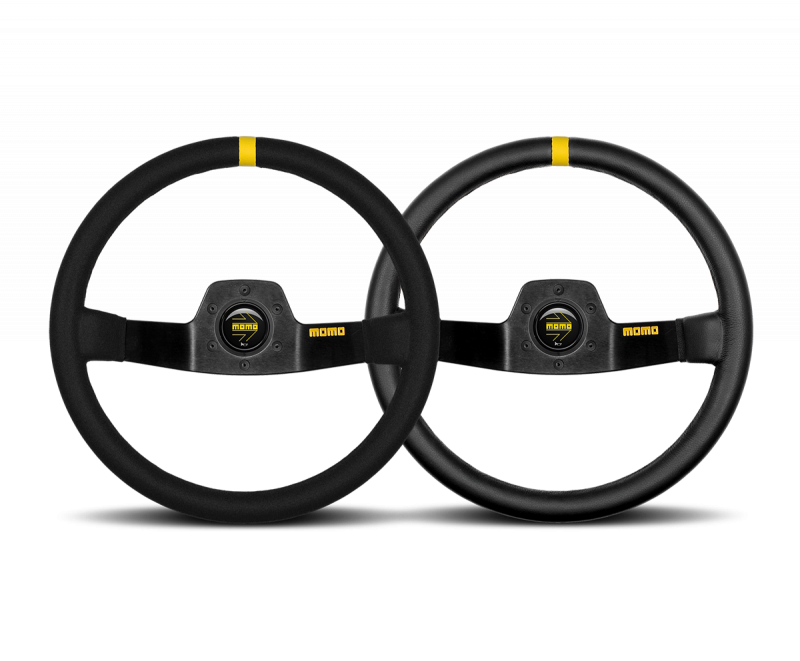 The wheel is available in black leather or suede finish and comes with a horn button.  It is pre-drilled with the standard 6-bolt pattern.